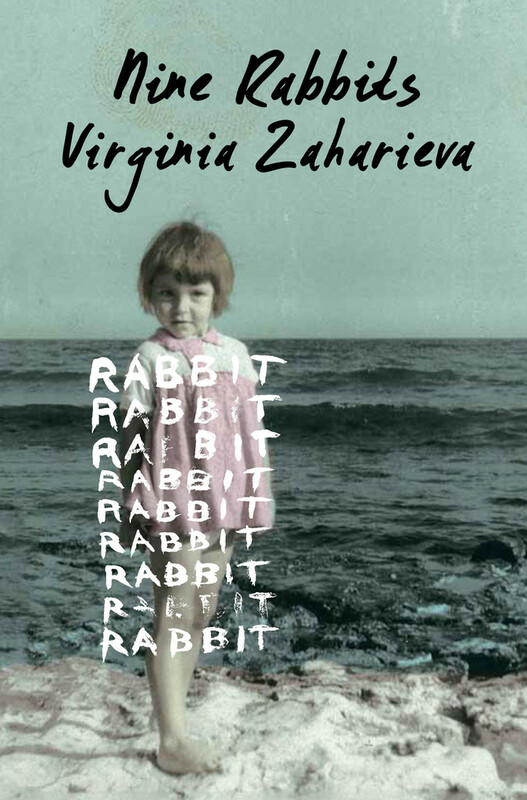 Virginia Zaharieva's novel Nine Rabbits was first published in 2008 in her native Bulgaria, where it fast became a bestseller and still remains one of the most celebrated books to appear over the past two decades. Based largely on Zaharieva's own life, Nine Rabbits begins in 1960s Bulgaria, during the height of Communism, and follows six-year-old Manda as she survives her abusive grandmother and rural poverty by finding sheer delight in the world — in plump vegetables, in garden gnomes, in darkened attic corners. The young Manda endures severe beatings, seemingly indestructible, but later, as a middle-aged artist and frustrated writer in newly democratic Bulgaria, she desperately tries to feed her damaged soul. Zaharieva peppers her narrative with real recipes related to Manda and the characters around her. The author creates lush gardens, nostalgic meals and sensual memories as charming as her narrator. Jennifer Abel Kovitz: What compelled you to write Nine Rabbits? The book plays with and subverts the expectations of both a novel and a memoir — explain why you’ve fictionalized a story that resonates so close with your own. Virginia Zaharieva: I wrote this book to try to fix the past and to gain distance from the present. I always wanted to write a novel, and I wrote Nine Rabbits to try and put my identity in order, and to arrange some stories in order to stop telling them over and over again to myself. I wrote this book in order to open more space for celebrating my life here and now. I also wanted to write a novel for people looking for a balance between their enormous appetites and their desire to live simply. Some of the most significant and delightful elements of Nine Rabbits are the recipes that punctuate the novel’s prose. What purpose do the recipes serve within the form and narrative of the book? This is a tasty book — you can read and eat from it! Seriously though, the recipes in the novel are characters themselves. I include them as nourishing moments for the reader. Just as in difficult times we might turn to a comforting dish or in times of celebration prepare a feast, I wanted to offer dishes that play the role of counterpoint in the narrative. Where there is cruelty, food can shelter us. For example, when we discover that Manda’s grandmother has cooked and skinned the family cats, I offer dumplings to calm the book’s emotional tone. Other recipes are there to celebrate new love (dishes best eaten in bed! ), to offer tenderness (with a fluffy apple pie) or to laugh at our families’ beloved eccentricities (hot peppers for supper). I suppose the recipes are also a type of pause, a silence within the text. And the recipes gathered here are simple and delicious — it is my pleasure to share them. Do you have a philosophy around the art of cooking or the culture of eating? If possible, prepare your food yourself. Cook so that the ingredients don’t lose their color. Make sure to have at least five colors in your dish. When you cook, cook; when you eat, eat. How was Nine Rabbits received when it was first published in your native Bulgaria? It was the best-selling book in Bulgaria in 2008. Nine Rabbits was also nominated for the 2008 Helikon Prize for best contemporary Bulgarian fiction. One reviewer went so far as to say that after reading the book, a whole generation of young, urban Bulgarian women who had never before ventured into the kitchen began to cook! In Nine Rabbits, the adult Manda struggles with a profound and lengthy writer’s block. Is this something you have dealt with in the past? Before I wrote Nine Rabbits, I was facing a creative crisis and had not written in nearly 10 years. I didn’t want to continue writing morose poetry as I had before because that was leading me to suicidal thoughts. But I really wanted to keep writing. After this 10-year pause, I sat down in a dark room in front of my computer every day, having no idea where to begin. One day, so as not to waste time, I simply wrote out the recipe for the tomato soup from the monastery near my childhood home. And then, amidst the scent of the soup, the nuns appeared. Then I wrote out the potato recipes, and my grandfather and grandmother appeared — their garden, the vegetables, the way they spoke. And then suddenly I was swept away into my childhood, into the aromas and colors and tastes of the past. So I wrote of childhood and then worked up the courage to leap into present life. This book could not have been written the other way around. I first needed to make sure those ghosts from the past weren’t breathing down my neck. Everyday life is ghastly enough! When you aren't writing, and when you are home from your travels abroad as a representative of Bulgarian literature, how do you spend your time? In my professional life, I am the Chair of the Bulgarian Institute of Body Psychotherapy and a member of the Bulgarian Association of Psychotherapists. My psychotherapy practice combines the achievements of western psychotherapy with eastern practices. I’ve also been a journalist for the last 30 years, working in radio, television and magazines. When Bulgaria was still a Communist country, I hosted the television program Actual Antenna but was eventually removed from this position by the then head-of-state for “an excessively personal hosting style and criticism of the Communist regime.” Bulgarian National Radio then wanted to hire me to host a program, but the authorities demanded I change my name — something I wouldn’t do! After Communism, in the late 1990s, I founded and became editor-in-chief of P.S. — the first gender magazine in Bulgaria. I created this magazine to open up a space for the female voice in Bulgaria and to look for a common language between the sexes. The magazine encouraged both public discussion and scandal! In all of my literary and civic endeavors over the years, I continue to work to help the female voice be heard. Nine Rabbits is a part of these efforts.